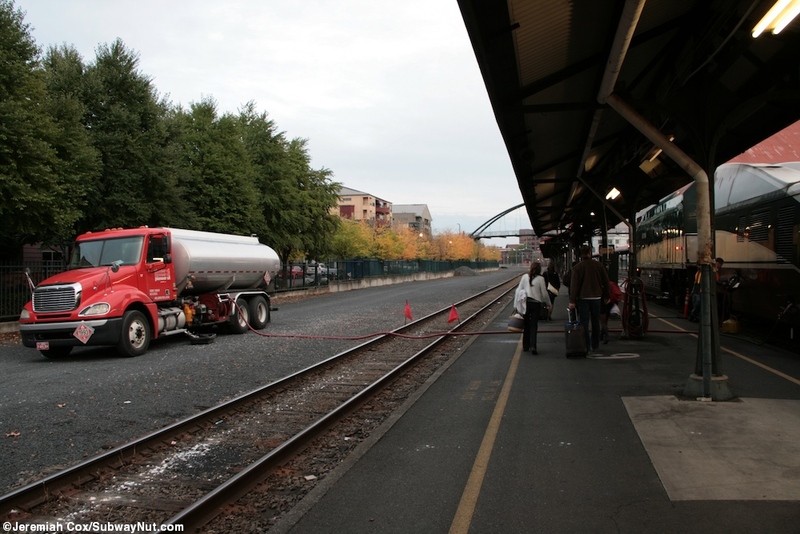 Portland, Oregon's Union Station receives service 13 times a day via trains plus some Thruway Bus connections. 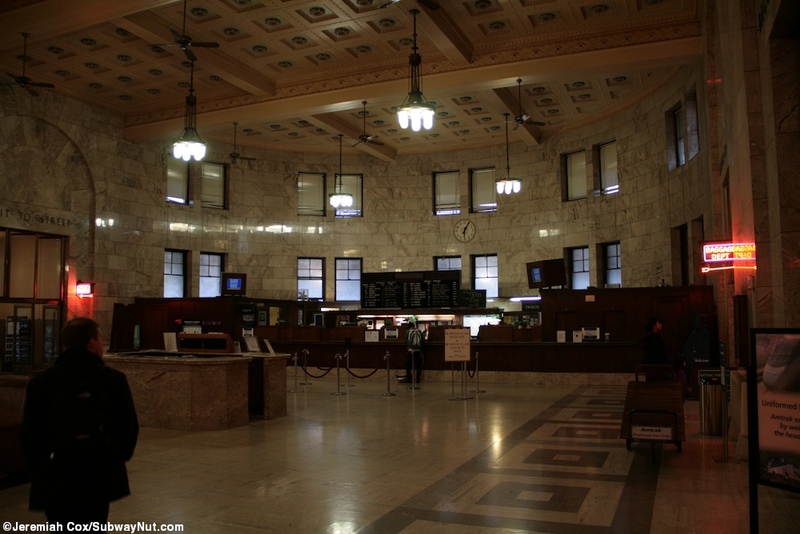 It is a historic crown jewel of the Amtrak system. 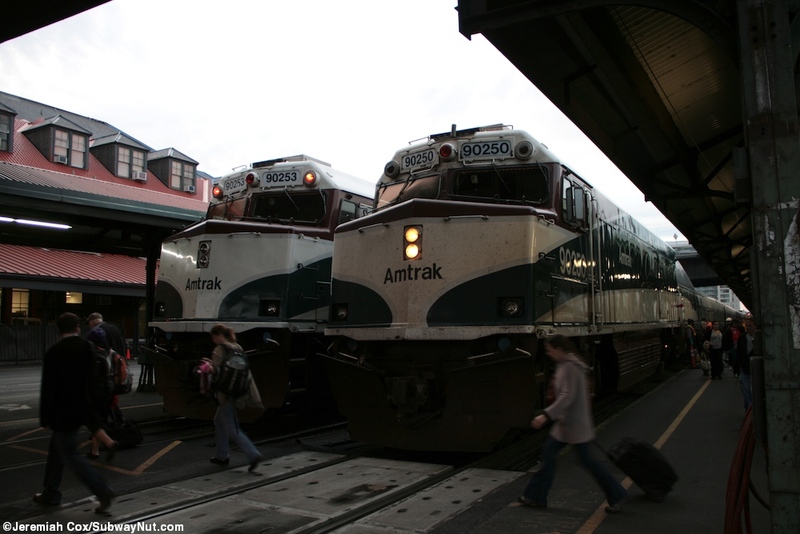 There are four daily Amtrak Cascades departures to (and arrivals from) Seattle with one extended all the way to Vancouver, BC. 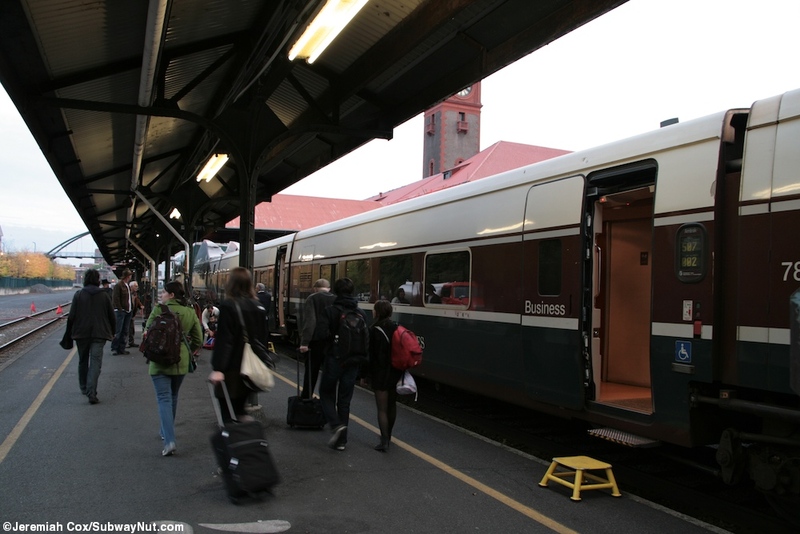 There are two southbound trips subsidized by the State of Oregon at commuting times (morning arrivals, southbound departures) down to Eugene (also served by some Thruway Buses). 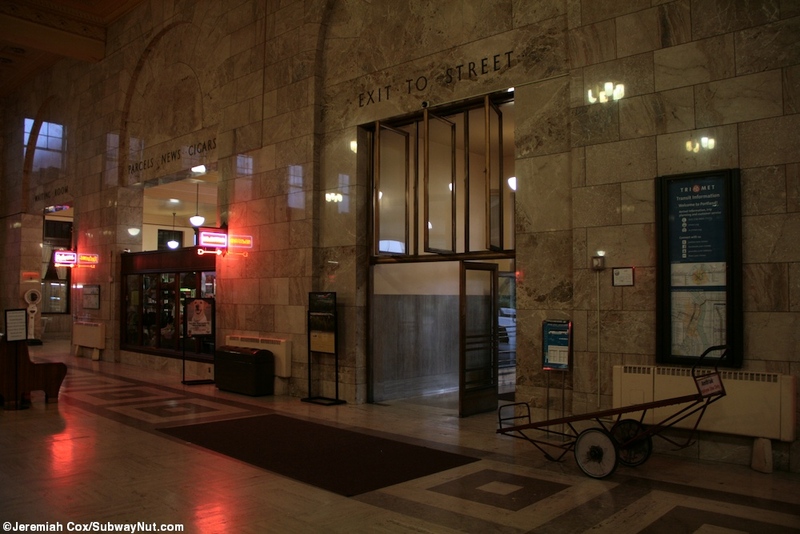 The Portland section of the Empire Builder originates here and it is also a stop on the Coast Starlight. 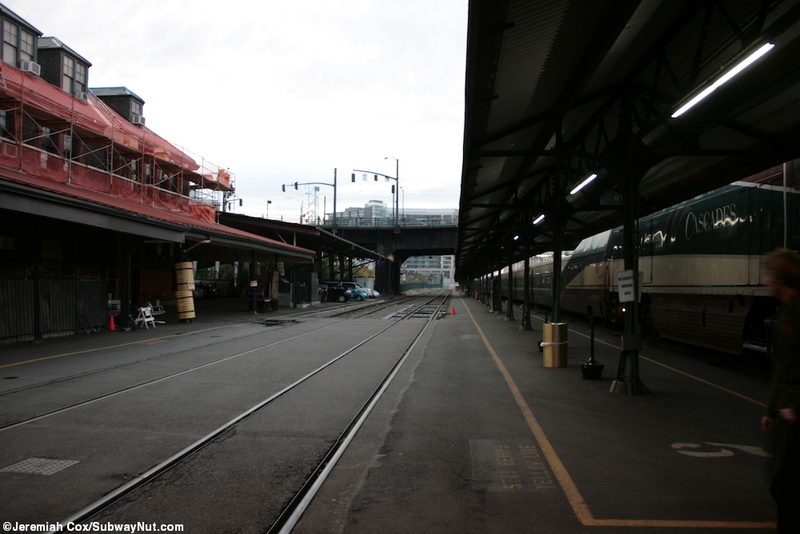 It was also a stop on the Pioneer between Seattle, Salt Lake City, and Chicago that was discontinued in 1997. 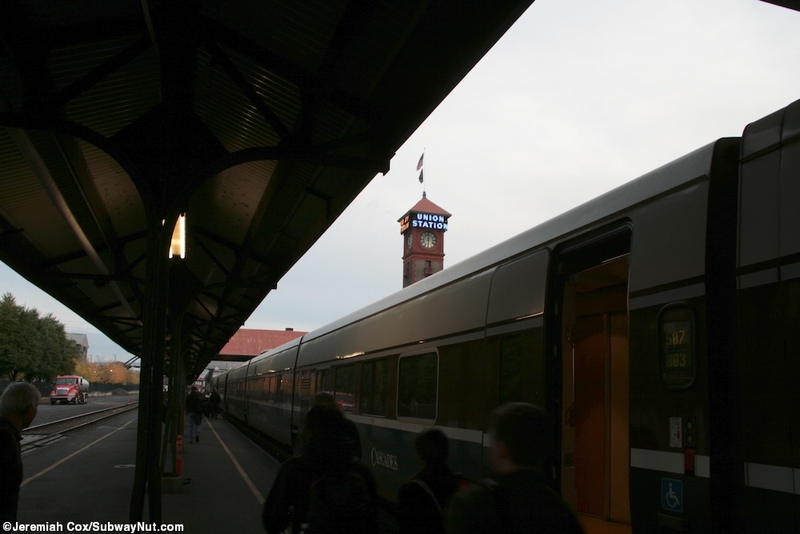 At times during the Amtrak era, before the state support for Amtrak Cascades, service has been as limited as just three trains a day (one Seattle to Portland Corridor Train, the Mount Rainer is the previous name, plus the Coast Starlight and Pioneer). 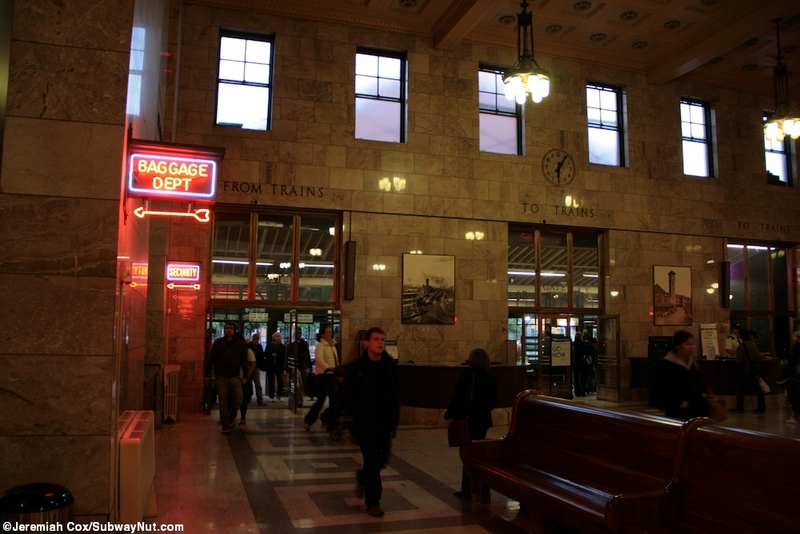 The station is one of the restored gems of the Amtrak system and is just north of downtown, a block or two from the MAX Light Rail that stop at NW 6th & Hoyt northbound and NW 5th & Gilsan southbound, and the Portland Greyhound Station. The light rail tracks are alongside the tracks at the southern end of the station's platforms and as the tracks leave the station. Just south of the station on the Steel Bridge the light rail tracks run on the upper level, while the train tracks run on the lower level. The train tracks cross Naito Parkway at a grade crossing also south of the station. 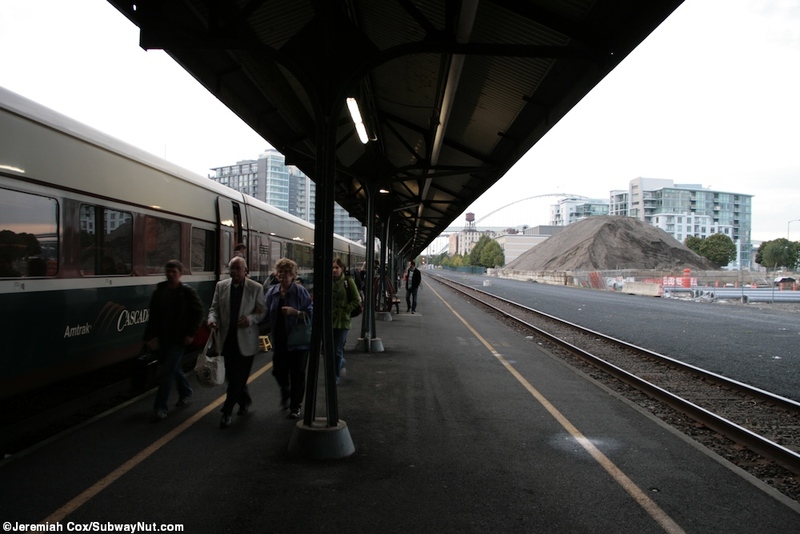 Although the train platforms are strictly fenced off and for ticketing passengers only, excellent photos and views of the station operations can be taken from the modern through arced footbridge that crosses over the towards the southern end of the platforms to the Union Station Yards, a new mixed income rental housing development, between the station and Willamette River over former rail yards (there still plenty around Portland). 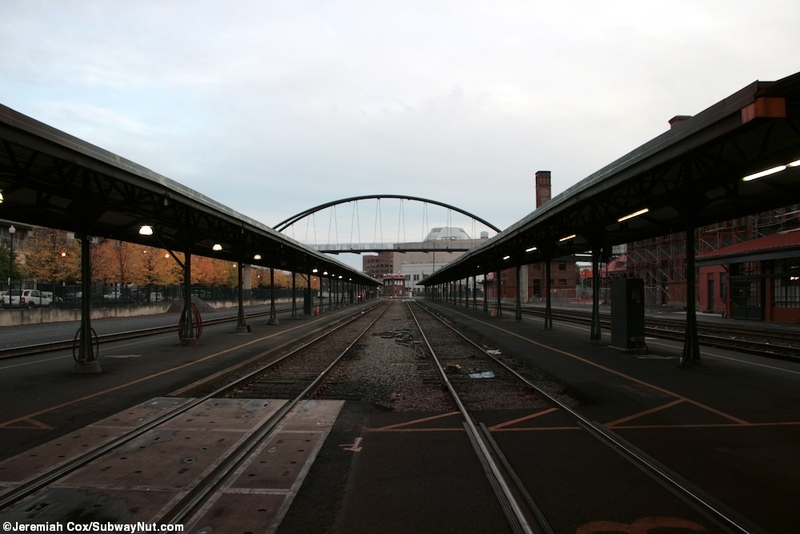 The Broadway Bridge crosses over the northern portion of the platforms. 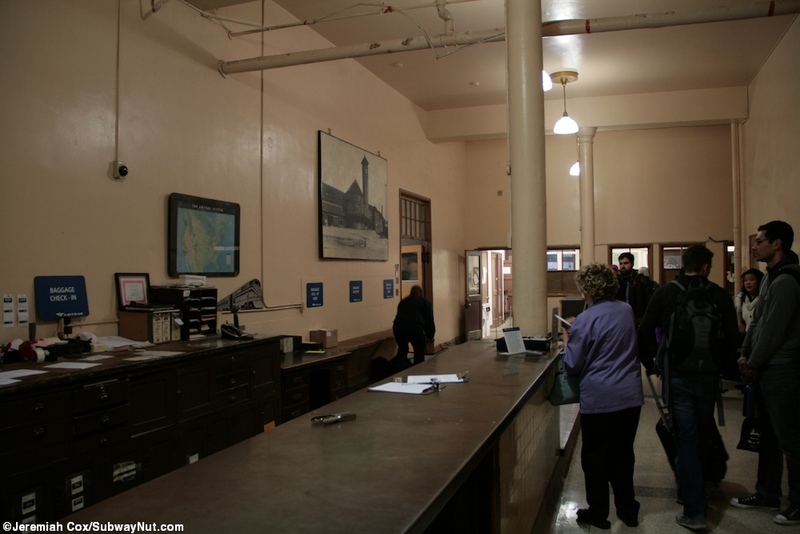 The station is housed in an historic depot, completed in 1896 that has been continuously used as a railroad station. 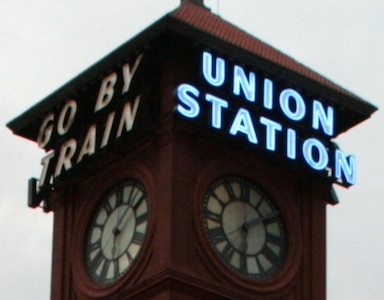 It is in the Romanesque and Queen Anne style and is marked by an iconic clock tower with Union Station written above two of the clock faces and Travel by Train on the other two faces. It is a three-story brick building with red, quite gabled roofs. Passengers enter the station from a green-canopied drop-off area with a separate stop for Thruway Bus Connections along NW 6th Avenue. Entering the station through one of two relatively small entrances the main lobby is reached that is full of wooden benches. 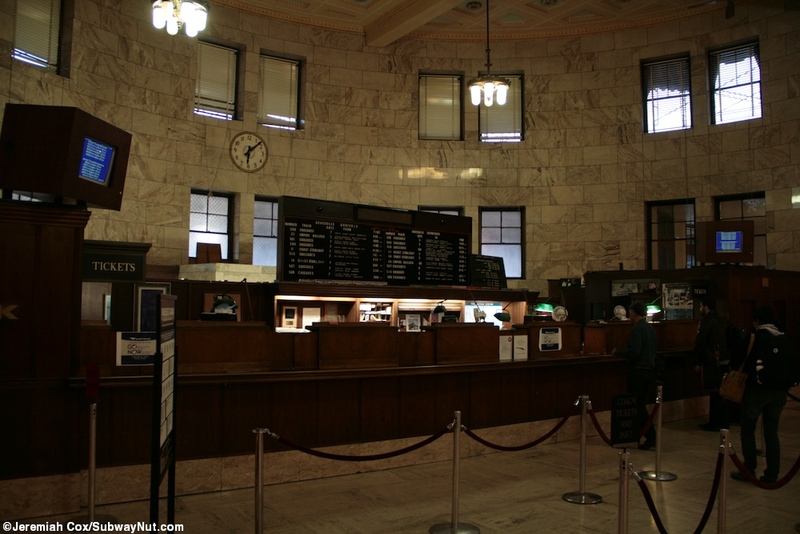 The Amtrak ticket office is off to one side. It is a high desk but lacks the bulletproof glass found at other stations. The only visual status (plus announcements) for the 13 daily train departures are here consisting of a manually lettered on felt old-fashioned sign plus an old TV monitor that the station staff edits with the actual status of trains. The stop doesn't have quite enough departures yet to warrant a genuine Solari-type departure board. 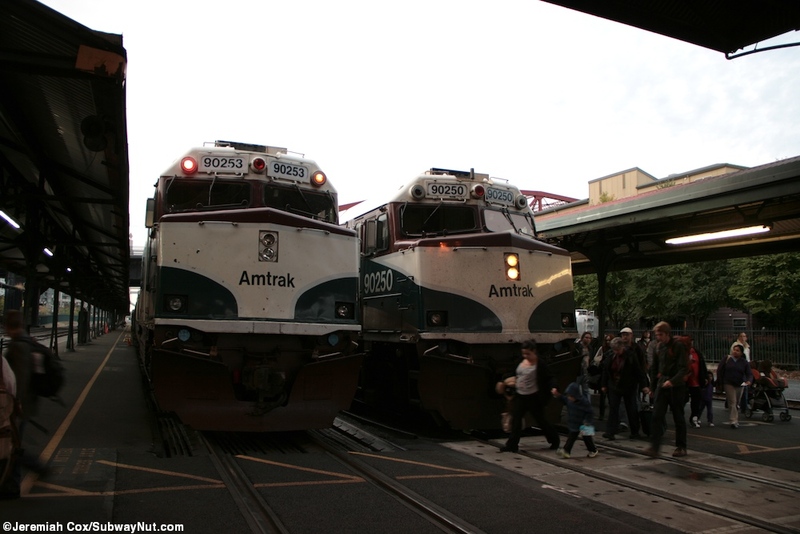 If the number of Amtrak Cascades trains keeps increasing as planned a more prominent departures display seems necessary. Straight ahead, in a separate area is the baggage office with a counter for baggage check-in and a simple low portion where bags are claimed. 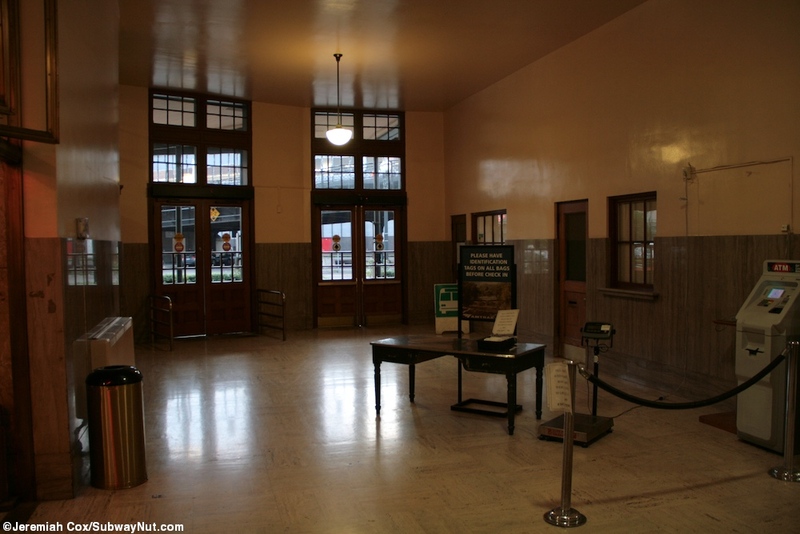 Back to the main hall, there is a separate annex near the tracks where the Metropolitan Lounge is found for first class departures, the station newsstand and cafe, along with the restrooms. 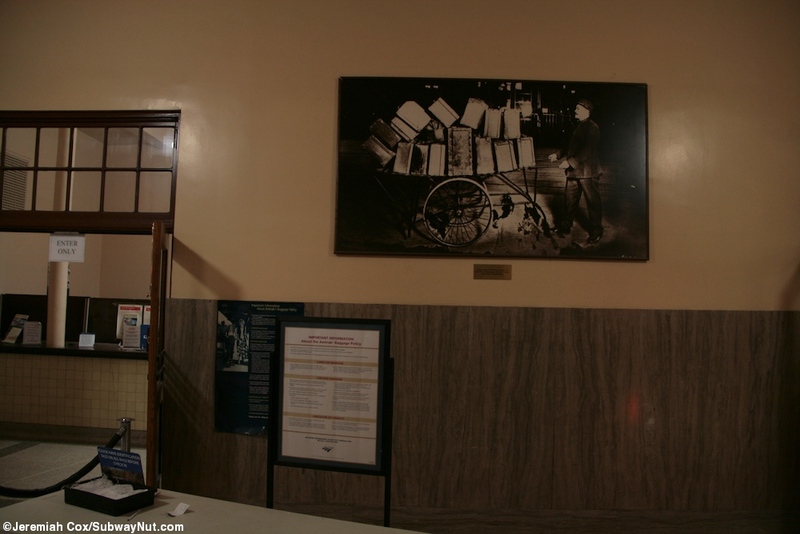 Various features of the station accessed from the main great hall don't just have the old antique lettering on the marble walls but also unqiue neon signs for the various areas: the Baggage Dept, Security, Restrooms, Metropolitan Lounge, and Taxis (to the street entrance). 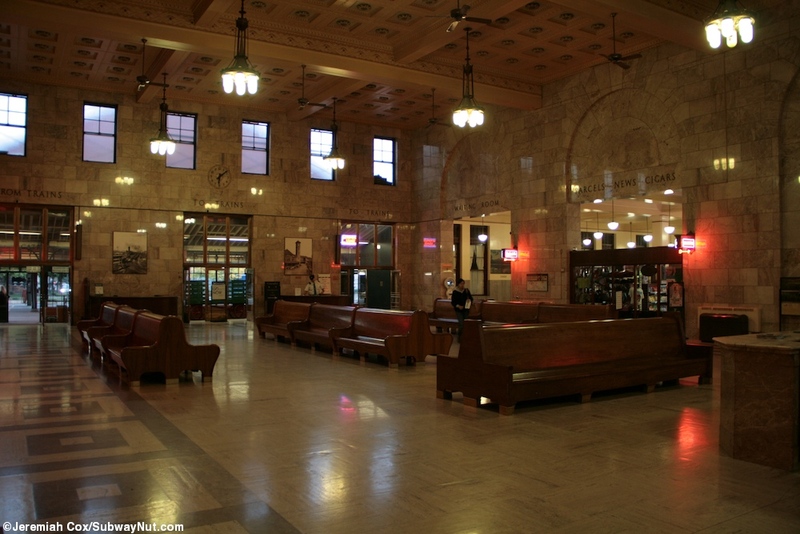 Metropolitan Lounge: The station has one of the nicest Lounges on Amtrak's System. It is really just designed for Sleeping Car Passengers but Select+ Members also are allowed entry (my one visit was as a Sleeping Car Passenger, so I don't know how the lounge handels card holders). 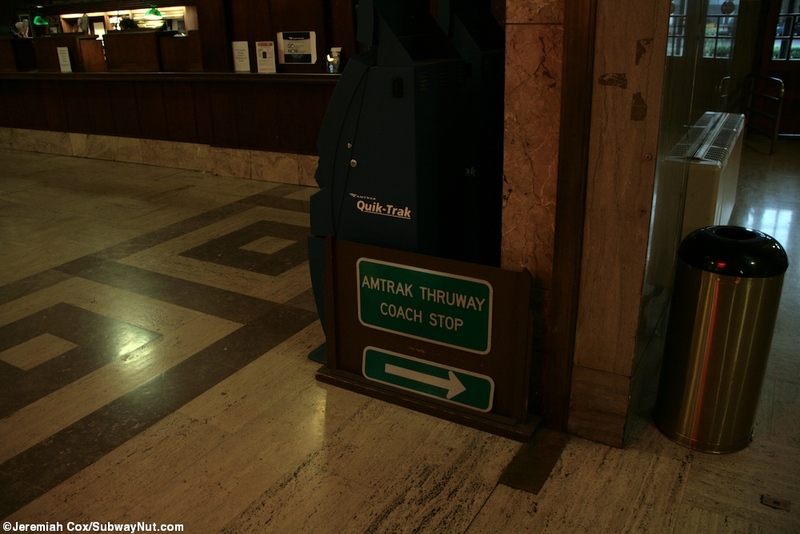 The hours though are only 9:30am to 5:00pm, missing the departures off all rush hour Amtrak Cascade Trains. The lounge is accessed through a door in the vestible in the area between the station itself and gates out to the platforms. It is a nice airy room with windows out to the platforms that have nice curtains. There a number of chairs, a check in desk, nicer restrooms and baggage closet for left luggage. There is a small counter area with a small refigerator has self-service cans of soda, water bottles, juices and iced teas that are a local brand. The coffee urns also have a sicker from a local roaster. The lounge also has real china coffee cups and real glasses although some paper ones were left out. No snacks were avalible though. Trains are boarded from one of two gates (5 or 6): "To Trains". There is also Gate 7 labeled "From Trains." 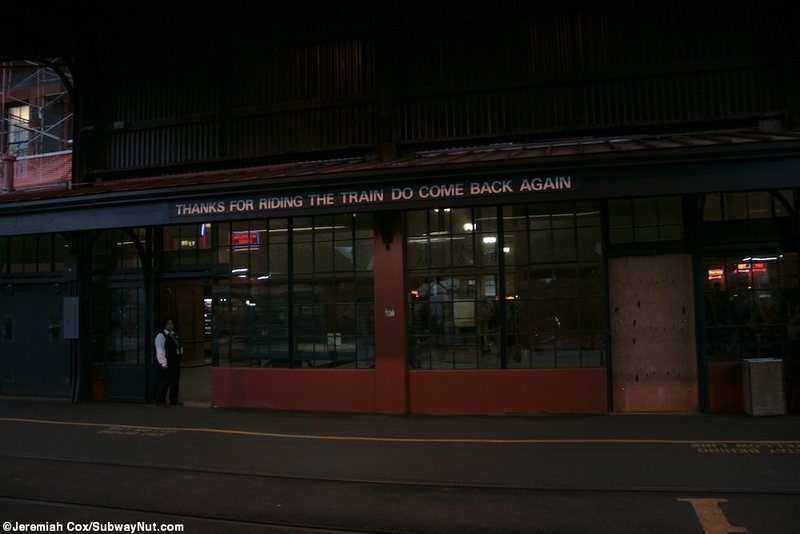 Outside, in the track area, above this entrance is a sign that reads "Thanks for riding the train do come back again" Train tickets for Amtrak Cascades departures are collected inside the station and boarding passes are issued to passengers (just like the boarding procedures done in Seattle and Vancouver, BC) before they walk out to the track area. To reach the trains is through a wide central canopied simple concrete level crossing that leads out to center of the five station tracks, one is right alongside the depot, the others are served by two long island platforms that allow most trains (except for the super long Coast Starlight) to platform either just north or just south of the station entrance. 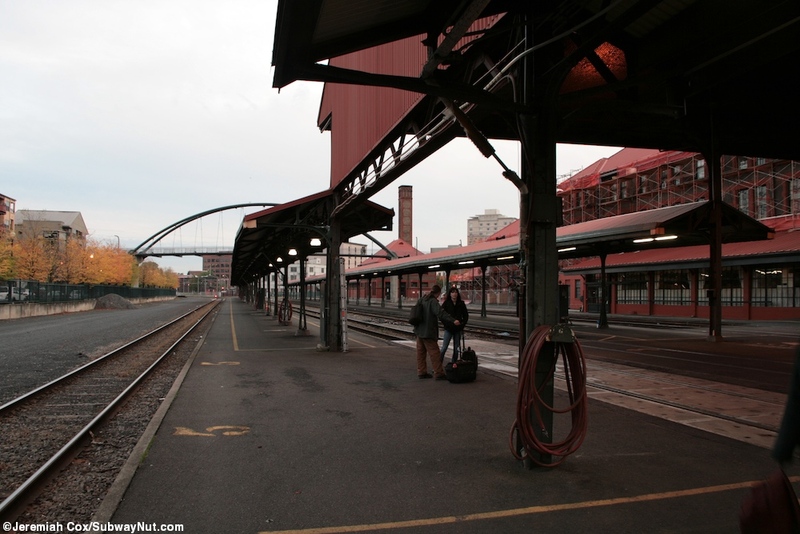 The two simple, low- concrete platforms have just a yellow line along their edges (since all passengers are led to them after trains have arrived) and are canopied with red gabled roofs that look like a complete extension of the roof of the station. 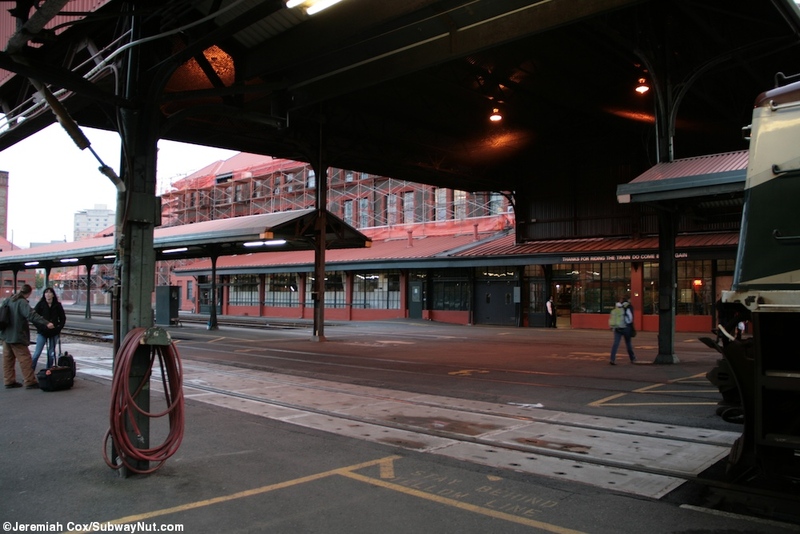 The canopy that is over the platforms' entrance is higher than over the platforms themselves.